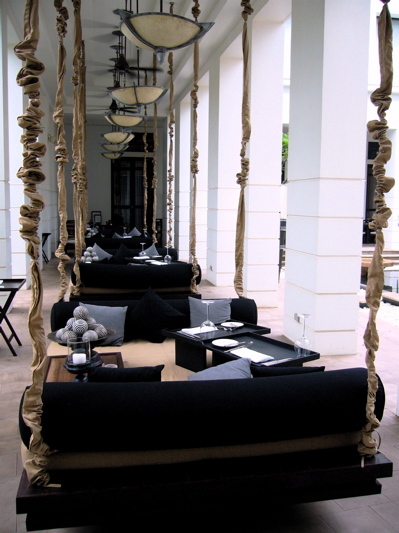 Hotel de la Paix, is a most stylish Siem Reap hotel, a creation of internationally acclaimed designer Bill Bensley. 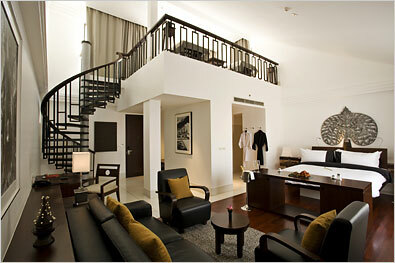 This five star boutique property offers guests outstanding levels of luxury and world class dining and spa facilities. 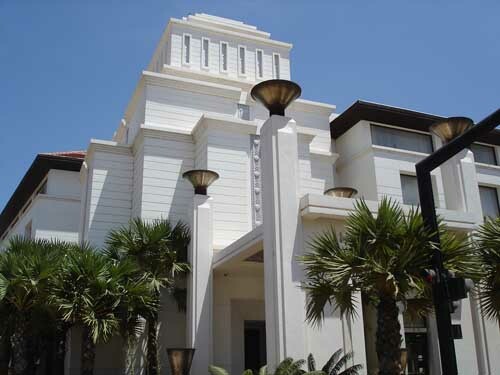 It´s trendy combination of art deco and traditional Khmer design is also an eco-tourism project. 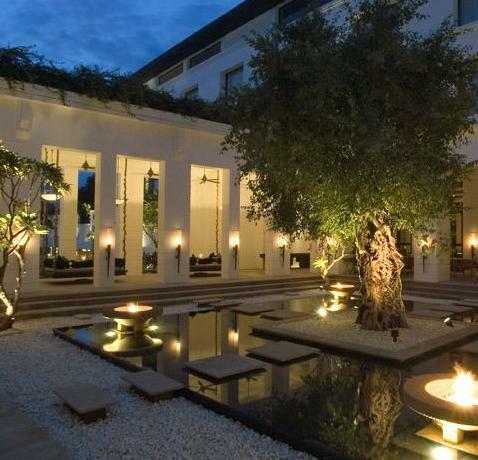 Its unique concept and sophisticated operation regularly provide guests with a once-in-a-lifetime, spiritually uplifting experience.This hotel is located conveniently in the heart of Siem Reap. 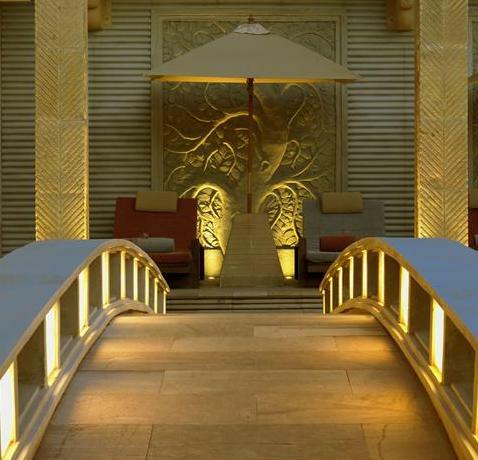 From the moment the staff picks you up at the airport with chilled water and fragrant jasmine in the luxury sedan, through check-in with a welcome refreshment and a chilled lemongrass face cloth, and during your entire stay, you will marvel at the splendid facilities and conscientious staff. 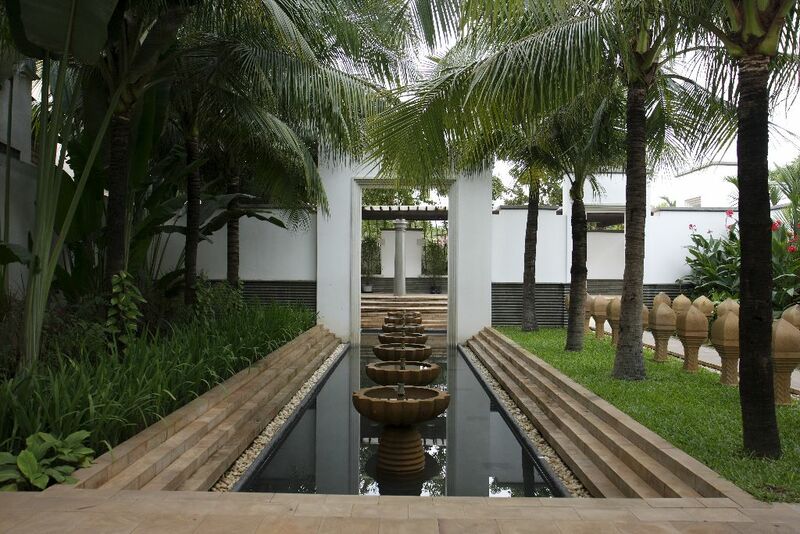 The suites and rooms are large and spacious with contemporary furnishings and the staff all are fluent in English and are never without smiles on their faces. A favorite area is the courtyard where guests make new friends and laugh it up as they enjoy conversations and cocktails. The restaurant is wonderful but it is the only food outlet inside the hotel. 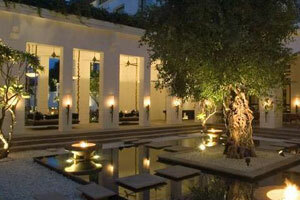 However, it is a short walk into central Siem Reap where you will find plenty of dining options and watering holes. The convenient location is ideal for your holiday golf package and for sightseeing at the famed temples of Angkor Wat, and it is only a ten-minute walk into the old town of Siem Reap. Be sure to enjoy the fine swimming pool and if you have time ask the staff to arrange for a hot air balloon ride for you at sunrise because the air outside must be cool for the hot air inside the balloon to create good lift.